Colleen joined Thinkspace in October 2013, bringing almost 20 years of experience in Office Management and Human Resources. Although the majority of her experience has been in the engineering field, her skills are easily transferable to any industry. Colleen is a team player and is known for her calm disposition. She enjoys working in a diverse environment with staff at all levels of an organization. Being part of the management team Colleen provides input to the Partners for strategic business planning and process improvements. Colleen takes pride in keeping an office organized and running smoothly. She understands that communication is critical to success in today’s highly collaborative and fast paced environment. 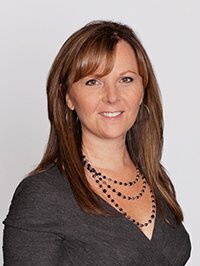 In 2016 Colleen received a Certificate in Human Resource Management from Simon Fraser University to compliment her many years of experience working in the field. Colleen grew up in rural Halifax County, Nova Scotia, and moved to BC in 1994. Although her immediate family still resides in Nova Scotia, she has an extended family on the West Coast which includes her 3 children. In her spare time you will find Colleen attending a sporting event cheering on her twin boys.